Davis Hall was born in Hanson, Massachusetts, to Davis Hall Sr. and Elizabeth Ann “Betsy” Gould. He never knew his father, a mariner who died around the time Davis Jr. was born. His mother Betsy returned to Barnstable County, eventually marrying another mariner, Joseph D. Patterson in 1840. Davis had one older sister, Eliza Ann “Betsy” Hall (who married Francis Sylvia, a Portuguese mariner from the Azores) and four half-sisters from his mother’s second marriage. Sometime in the 1840s the family moved to Nantucket. Oral family history tells us that Davis sailed on the first clipper ship to go around the horn of South America to take easterners to the Gold Rush. We know that Davis did indeed sail aboard the Henry Astor from Nantucket to San Francisco in September 1849 and again aboard the schooner Mary and Emma in December 1849. Davis joined the Union Army during the Civil War in 1862. He fought in North Carolina at the battle of Kinston. He was wounded by a gunshot near the spine. After 2½ months he retired with injuries and chronic illnesses that were common for the men who fought in the southern swamps. He used the money he received from his Civil War service and disability to purchase the house on 28 North Water St. for his growing family. Davis and Lydia had seven children, Ida Frances Hall Lewis Russell (1854-1904), Ann Maria Hall Beebe (1859-1886), Elmer Harvey Hall (1864-1908? ), Charles Macy Hall (1867-1940), an unnamed twin for Charles who died shortly after birth, Mabel Hall Kelley Bowie (1873-1939), and Mina Hall (1878) who died as a baby. After the Civil War, Davis took a job on the South Shoal Lightship where he cultivated his basket making skills for which he is so well known today. Today, Davis Hall baskets are prized by collectors of lightship baskets. 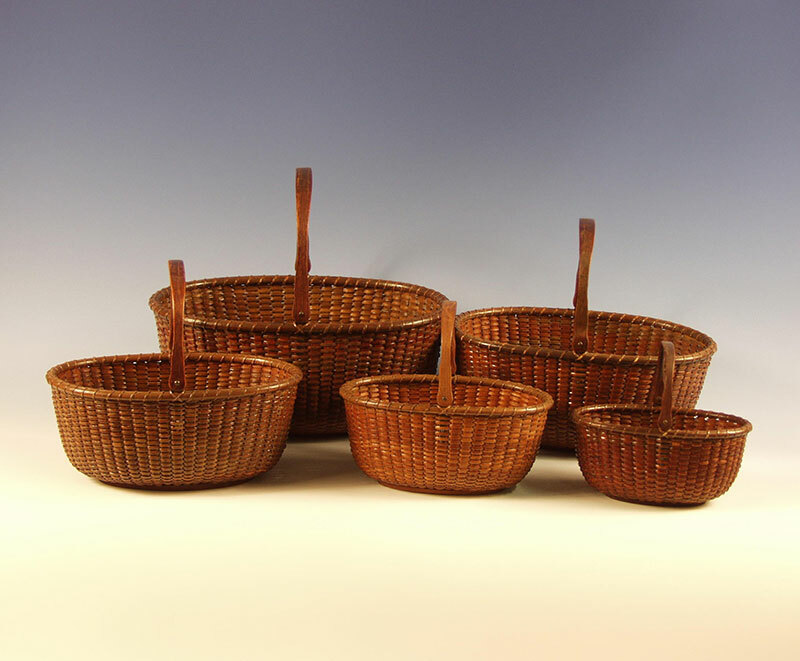 He is known for developing the oval form of lightship baskets. In the surviving census records, he listed his occupation as seaman (1870), “on Lightship” (1880) and finally as basket maker (1900).